Manila, Philippines - Manolo Pedrosa dubbed as the 'Wonder Son ng Quezon City' has just been evicted from the Pinoy Big Brother house during the live 11th eviction night of 'PBB All In' on Sunday, August 10, 2014. Manolo got the lowest percentage of votes from home viewers, 31.16% only. "It's a wild roller coaster! I did all the challenges. 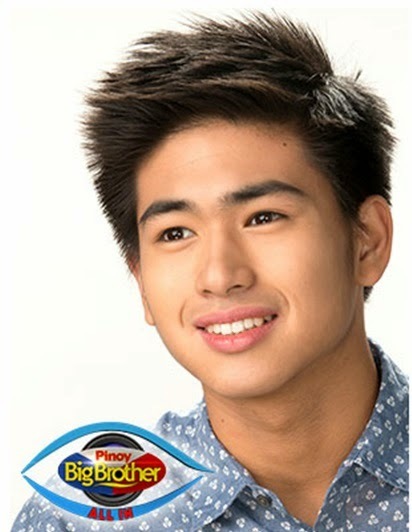 I stayed true to myself," Manolo said to Big Brother. The 'Rising Celebriteen ng Quezon City' Jane Oineza was saved from eviction as she received 68.84% of votes. The nominated and among the 'fakely' evicted housemates Jane and Manolo received nomination through insta-save challenge given by Big Broher as part of the 100-day episode of the reality show. Other 'fakely' evicted housemates Daniel Matsunaga and Vickie Rushton have won the 'Kandila' challenge and 'all out attack' challenge respectively. In the 'Kandila' challenge, the four fakely evicted housemates had to extinguish the flames of as many candles as possible while being defended by Joshua Garcia, Loisa Andalio, Maris Racal, and returning housemate Fifth Pagotan. Both parties used different improvised materials to defend or extinguish the flames. Daniel had extinguished the most number of flames. On August 2, PBB announced the twist of back-to-back-back eviction. Unknown to other housemates, eviction is not real but a special process of nomination with challenges included. The live eviction of PBB dominated online conversations with '#PBB11thEvictionNight', 'LOISA ANDALIO is DAUNTLESS' and 'Maris Racal Is A TEENSPIRATION' topped Twitter trending list. The date of PBB 'Big Night' was also announced on Sunday with the countdown officially starts today. "Two weeks to go before the Big Night!," PBB official Twitter account said.